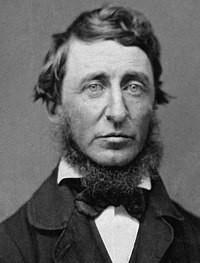 Henry David Thoreau (July 12, 1817 – May 6, 1862) was an American writer and thinker. Simple: People are being controlled by the things they work with. Simple: Our life is wasted in many small pieces by spending time on small things. Make things simple. Make things simple. This page was last edited on 4 October 2009, at 06:24.